TO CREATE THE WORLD’S FIRST DOUBLE-LAYERED BOTTLE. 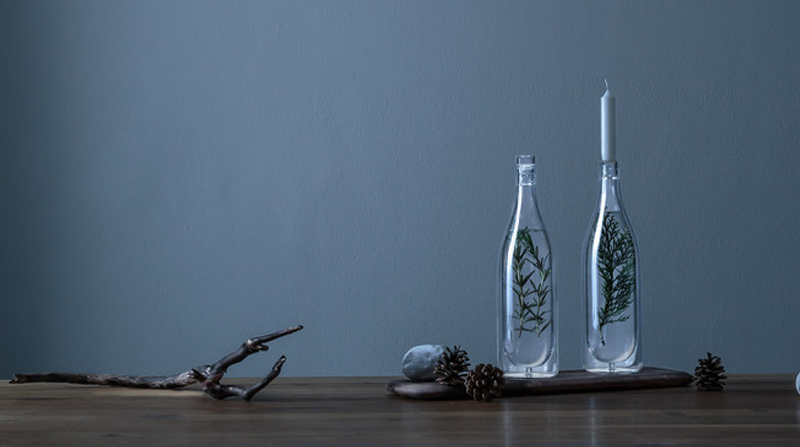 Over the last few years we’ve been on a genuine journey of passion developing a double-layered bottle that not only keeps its contents chilled in a natural, clean and sustainable way, but is also a beautiful jewel in the crown of any table setting. 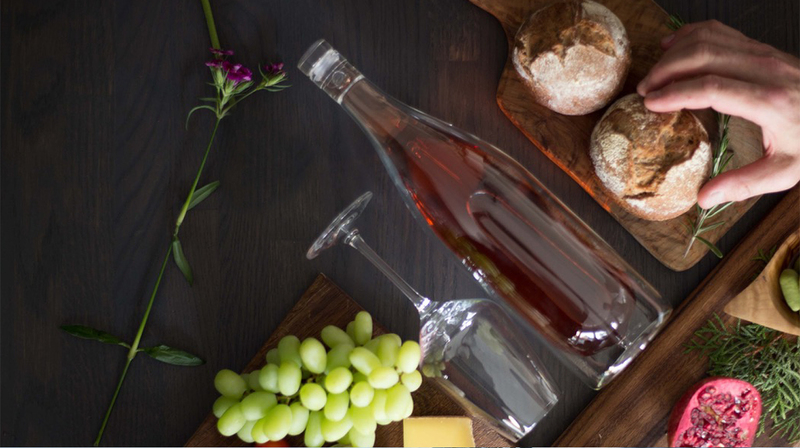 A wine bottle can be many things – a vessel, a sculpture, a canvas, and a gift, to name but a few. The crystal clear glass is not only pleasing and silky to the touch, but keeps its contents chilled and presents the wine and the artwork in its best light. The crisp, clean lines of crystal-clear Borosilicate glass presents the wine’s true colour, and even though it’s light in weight, the double layer keeps your wine refreshingly chilled. EVERY BOTTLE IS HANDCRAFTED AND INDIVIDUAL. GIVING YOU A UNIQUE WAY TO SERVE UP YOUR WINE. 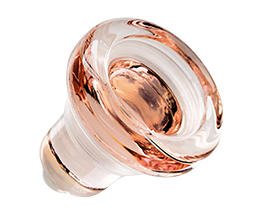 Handmade by artisan glassblowers, the bottle’s elegant, multi-layered curves not only provide winemakers with the perfect vessel for their wine, but it also gives artists a unique place to showcase their art on both the inner or outer layers of the bottle. Limited editions of different shapes, sizes and exclusive artworks will be available to collect. 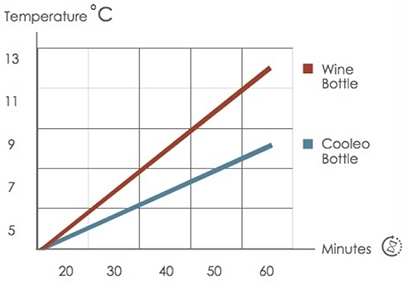 As all winemakers know, serving wine at its optimum temperature is crucial for enjoying the wine’s full taste and aroma. 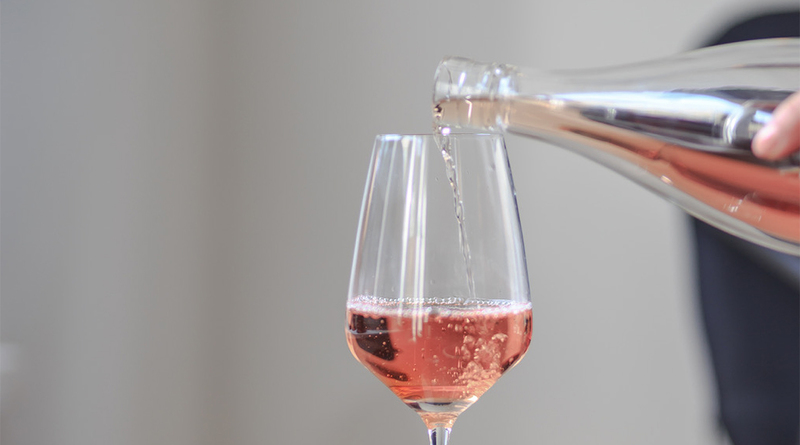 The natural cooling double layer means you don’t need the fuss of ice buckets or repeat trips to the fridge – what better way to serve wine without disruption? COOLEO is the first double-layered wine bottle with a vacuum that keeps its contents chilled. Designed and engineered in Germany, it’s hand crafted from strong, thin, high-tech Borosilicate glass, which has outstanding clarity and scratch-resistant durability. It’s perfect for artwork and graphics, because they remain protected between the two layers, like a canvas behind glass, allowing it to be presented together with the colour of the wines. The Vinolok innovative glass closure has been specially designed to be easily and repeatedly opened and closed with one hand. This helps preserve the contents, whether it’s wine, water, lemonade or sirups. 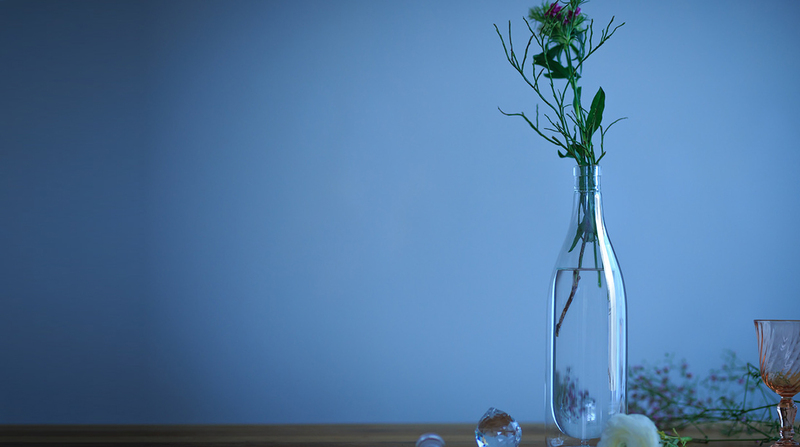 Recycling and Up-cycling makes good sense from a social and environmental perspective, as well as bringing added character and interest into your home. Not only can the bottle be re-used time and time again, it also saves energy and effort. The vacuum layer means that you don’t have to return the bottle to the fridge, or use ice buckets to keep it cool. WATCH THE VIDEO BELOW TO FIND OUT ABOUT THE ENGINEERING DESIGN AND MANUFACTURING OF COOLEO. We are a product design studio in Germany. 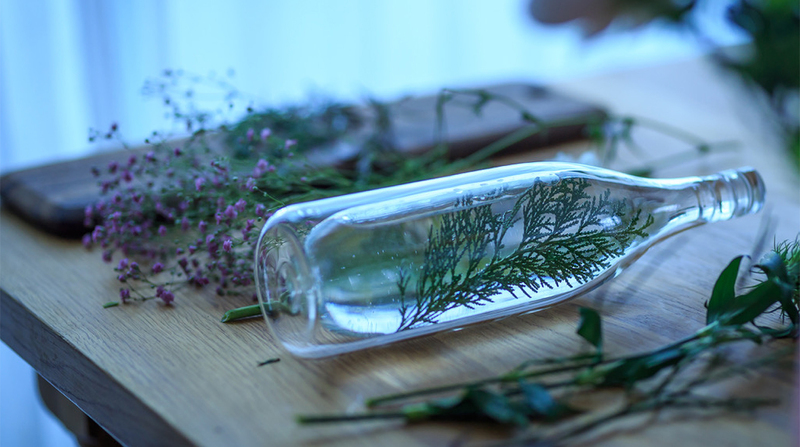 Our intention is been to create a bottle that is beautiful to behold, shows the wine at it’s best and keeps it’s chilled in a natural, clean and sustainable way. 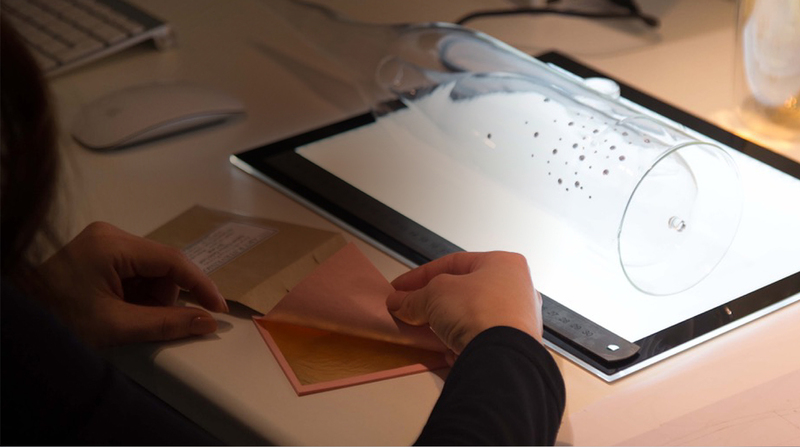 After extensive research, we worked with glassblowers, craft peoples, winemakers, engineers, technicians and designers, all bringing their wealth of skills and knowledge to the process. Together we researched and chose the materials, re-discovered traditional methods, taking the raw materials and create something that never existed. Borosilicate, first invented by Friedrich Schott, a German chemist, is formed when boron oxide is added to soda-lime glass. 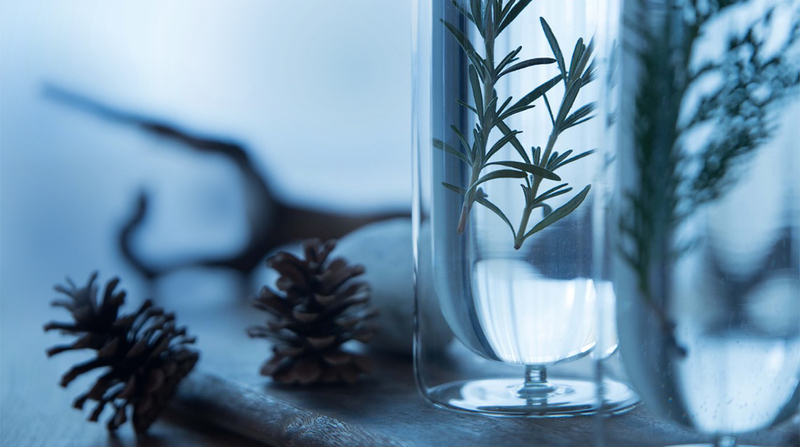 This natural glass formulation is chemical and heat resistant, taste neutral, has a high light transmission coefficient and a higher softening point, making it the ideal material to sculpture the COOLEO bottle. 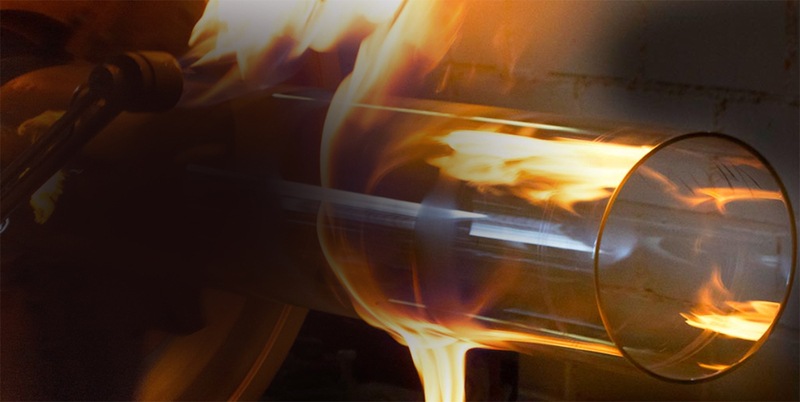 During the production the glass is melted up to a temperature of around 850°C. 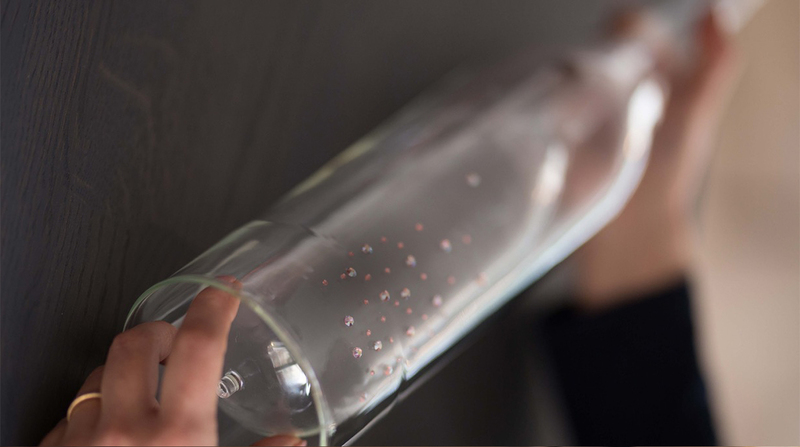 The bottle’s unique and highly effective double layer glass includes a vacuum that provides for the first time an insulating layer to keep cold drinks cold and hot drinks warm – for much longer. The all-glass stopper is designed to fit the overall style. It makes a great alternative to the cork, because it lets you repeatedly open and close the bottle using one hand only. It keeps the contents fresh without affecting the aroma or flavour. It has been designed for automated filling in wineries, as well as everyday use. 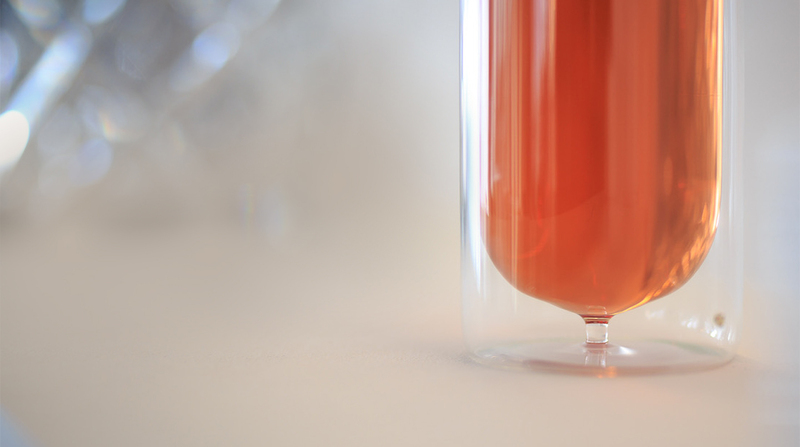 The new stem at the bottom looks like a wine glass, but it plays a clever and important role is bringing stability to the structure, so it is protected against vibrations during transportation . 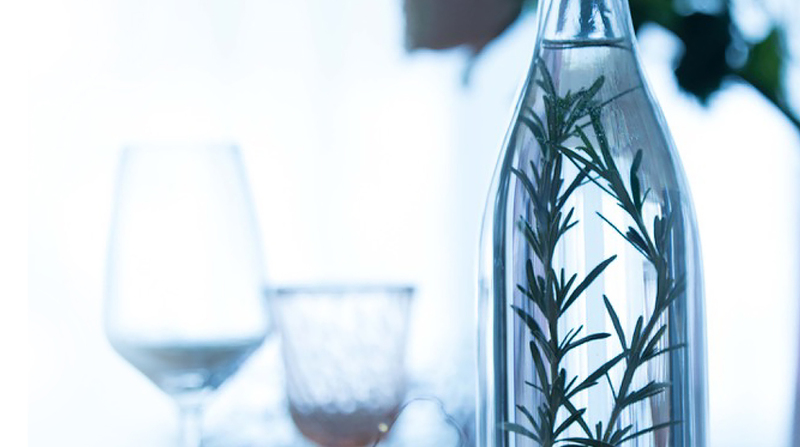 Consider the COOLEO bottle for dinner or summer parties, wedding receptions, corporate functions or other special occasions. 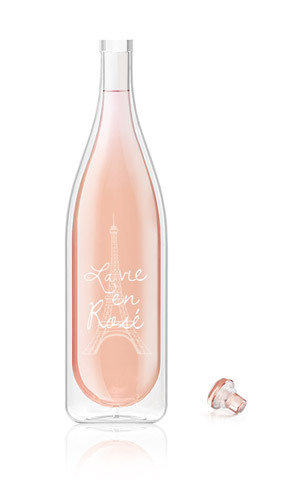 The elegant design of the bottle will make it an experience to remember, it kicks off conversations, inspires ideas. LET ME INVITE YOU TO SUPPORT US ON OUR JOURNEY, BECOME INVOLVED, SEND US YOUR IDEAS OR SIMPLY SUPPORT US ON KICKSTARTER, WHERE YOU CAN PRE-ORDER COOLEO FOR YOU OR YOUR LOVED ONES. To join the COOLEO story, then please visit us on Kickstarter and support us or pre-order your very own COOLEO bottle. Our Kickstarter campaign will be launched in summer 2018, but you can see what we’re up to at any time. We’d love to hear what you think. COPYRIGHT © 2018 COOLEO OWW Our Wonderful World UG. ALL RIGHTS RESERVED. We will notify you when we Kickstart COOLEO later this summer.